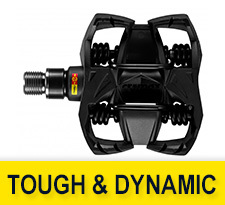 The new body design of the Tough and Dynamic mountain bike pedals reduces weight for better performance. They assure maximum stability and reliability which inspire confidence at all times. 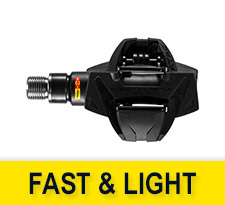 The Fast and Light mountain bike pedals made by Mavic offer light weight and efficiency. 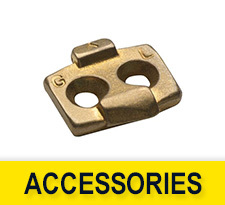 By construction they are easy to clip-in and very convenient in all weather conditions.